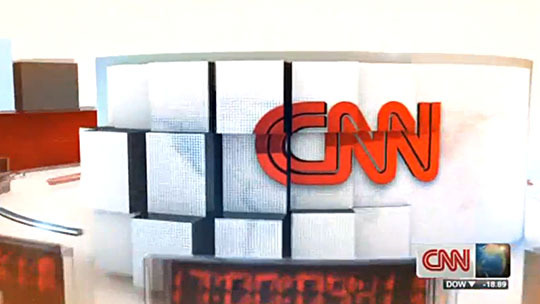 June marked the first time CNNI was in widescreen across all of its major bureaus. 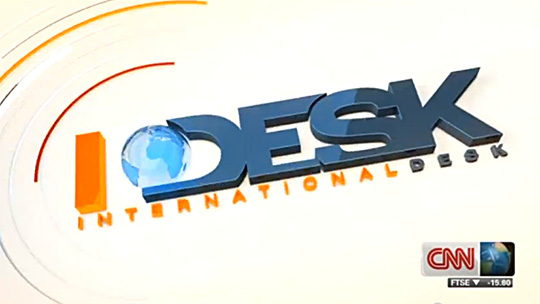 The move comes after various upgrades around its operations, including a new newsroom, control room and updated studio in Atlanta. 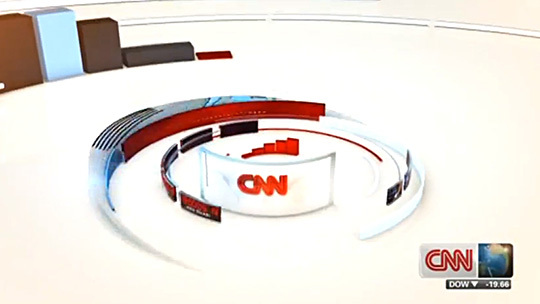 Along with the move to widescreen, CNNI also updated most of its show graphic packages. 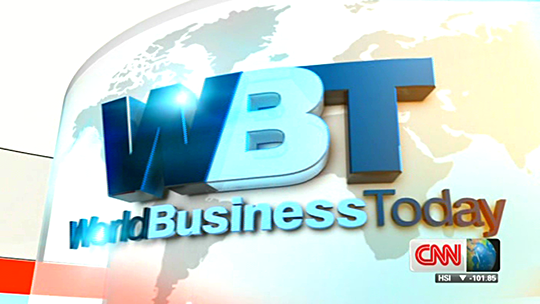 The new look, build around a rotating core, use glossy 3D with extruding text and imagery. 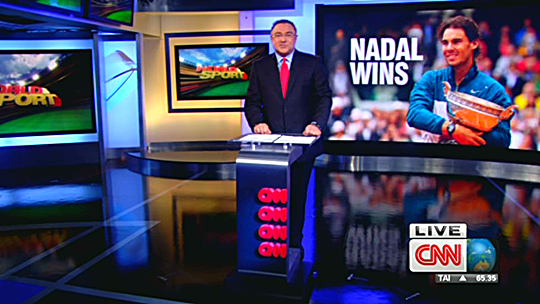 The new graphics are very polished, but almost too American and over-the-top for CNNI’s international audience. 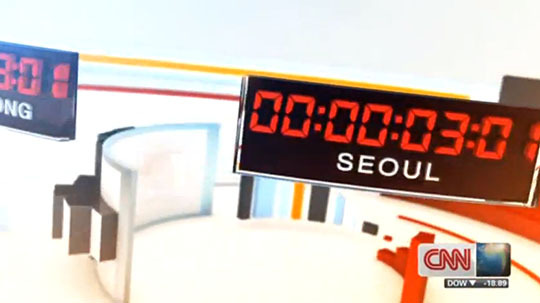 The new package is flashy compared to BBC News or Al Jazeera. 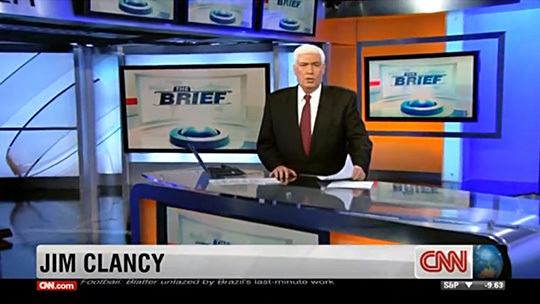 One can hope that regular CNN also updates show packages soon, as many are beginning to feel dated. 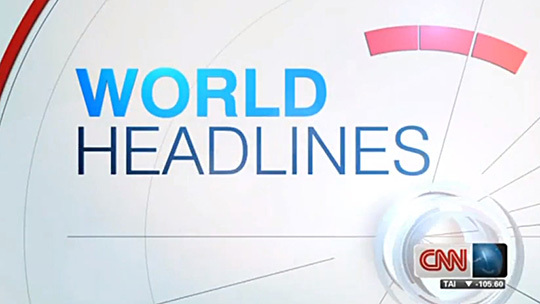 The lower third and ticker did not change with the new package, leaving them a bit out of place in the flash. 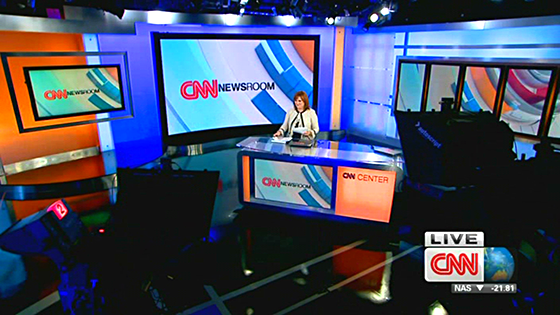 The revamped studio is full of color, marking a continued change in direction for CNNI. 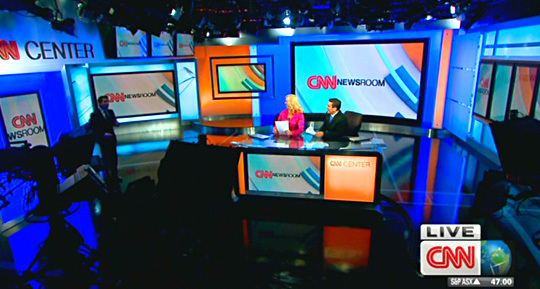 Only a few years ago, 2006, CNNI had a clean and minimal studio with neutral colors throughout. 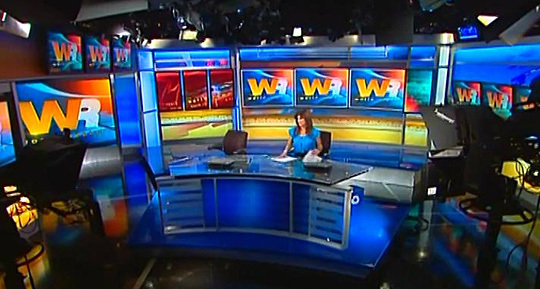 Backlit panels and technology surround the studio, allowing each Atlanta-based program to have a different look. 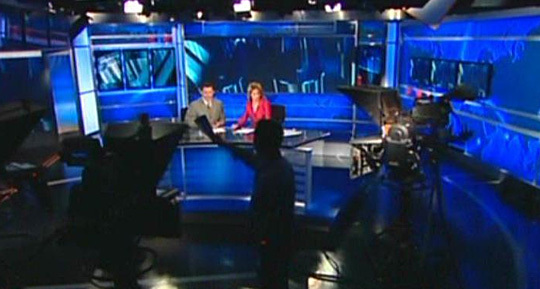 The studio does mimic some design elements of the new US CNN studios, including large extruded CNN lettering on the headers with a large amount of metal used on walls. 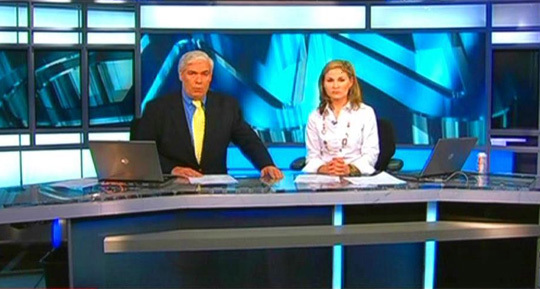 The largest problem with the CNNI Atlanta studio is the continued rehashing of old building blocks, instead of starting from scratch. 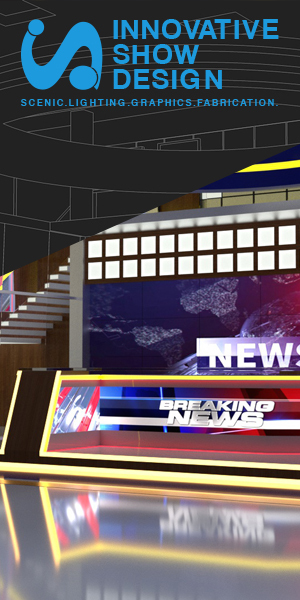 Unlike CNN’s recent D.C. remodel, taking the studio down to just a blackbox, CNNI clearly worked with some existing set pieces. So, the design is also constrained to the same box. 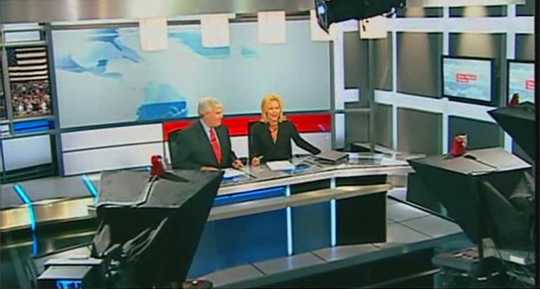 Monitors are always in the same place, and the cramped studio always looks cramped. 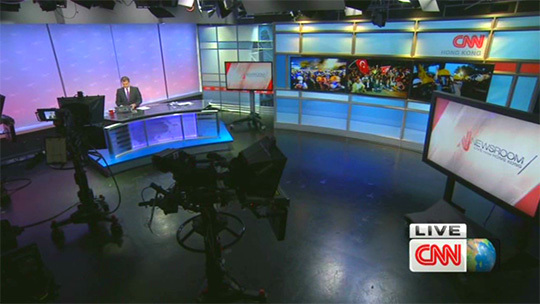 CNNI has spent little money on its studios internationally, with many looking terrible compared to BBC’s new flagship. 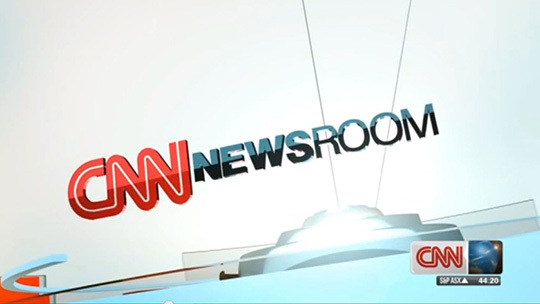 A CNNFan.org user compiled the history of this studio, since the first version of this set debuted in 2006.